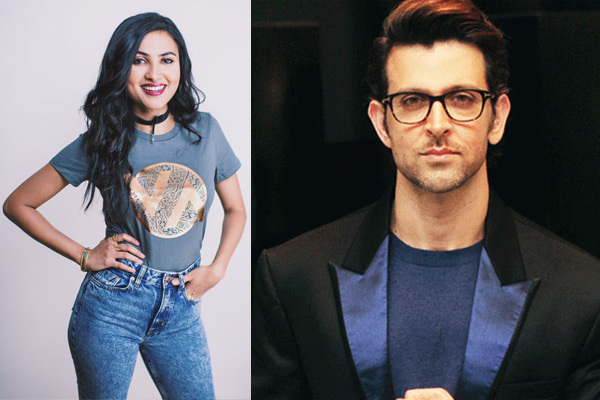 MUMBAI: Actor Hrithik Roshan says he is a fan of Indo-American singer and YouTube sensation Vidya Iyer, famously known as Vidya Vox. Hrithik on Tuesday shared a photograph of himself along with Vidya. "Ladies and gentlemen, Vidya Vox is in the house! My house! What do I say, I'm such a fan. Thank you for the music Vidya Vox. Was wonderful meeting you and Shankar (Tucker)," he wrote alongside the image. An overwhelmed Vidya said she was on cloud nine after meeting the Bang Bang! actor. "When dreams come true! Hrithik you are the best and I cannot believe I got hang with you! Still on cloud nine!" she wrote. Vidya is known for mixing western pop, electronic dance music, and Indian classical music. She launched her YouTube channel in 2015 with mashups of Western pop hits and music from her native India, Vidya has amassed over over 400 million views, and her channel has accumulated over 4.2 million subscribers. Her popular mashups include Closer/Kabira, Lean On and Jind Mahi.